"Yes or no, in all seven of your Tour de France victories, did you ever take banned substances or blood dope?" With one word, Lance Armstrong let down the millions of people that believed in him. Over two years have passed since the shamed cyclist confessed to spearheading one of the biggest doping scandals in sporting history. It was an admission that many hoped would never come, as the fairy tale of a cancer survivor returning to win seven Tour de France titles was too romantic to relinquish. In contrast, for those who had fallen victim to the American's merciless pursuit of personal gain, the sight of the once adored cyclist slumped and exposed as a cheat next to Oprah Winfrey would have been the ultimate cathartic experience. Armstrong's confession, however, has done little to clear the doping clouds that continue to cast a shadow over the sport of cycling. As the International Cycling Union continues work on shedding the sport's tainted reputation, Armstrong persists like a parasite that refuses to go away. It was never going to be an easy mess to clean up, but the abundance of lawsuits and settlements regarding the Texan's scandalous past are unfortunately just as intriguing as the competitive cycling on the road. Indeed, Armstrong's latest contribution to the fallout is his decision to accept an invitation from Geoff Thomas to return to France and cycle a stage of the Tour for the Cure Leukaemia charity. Armstrong poses with Thomas ahead of their charity bike ride. Armstrong's inclusion in the charity ride has inevitably been met with opposition by some who believe he should never be allowed near the bike again. During each of his Tour de France victories, Armstrong was a deceitful, ruthless and self-indulgent bully who brutally cast aside anyone who threatened to reveal the secret behind his success. The former cyclist is still all of those things, and you'd be kidding yourself if you believe his confession wasn't a result of circumstance. The sincerity of his apology was about as believable as a strawberry flavoured kangaroo doing the butterfly across the Thames. He lied to journalists, fellow cyclists, presidents, and most shamefully, fellow cancer survivors. Armstrong clung to his elaborate lie until it was no longer possible. His admission was a classic case of jumping before being pushed. Ultimately, Lance Armstrong craves attention. After being stripped of his Tour titles the 43-year-old tweeted a picture lying under his collection of yellow jerseys in an act of defiance which illuminated his obvious lack of contrition. 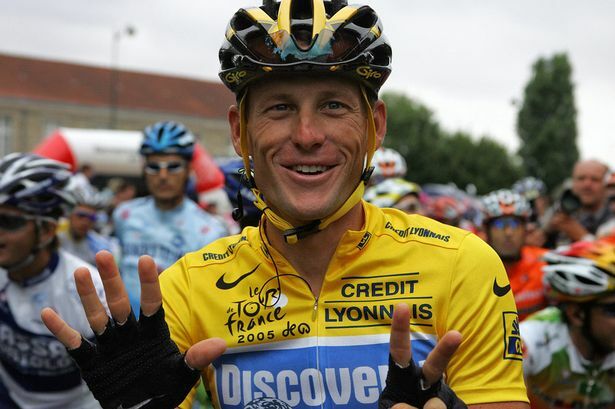 If Armstrong could dope and win again without being caught, he would. "Just layin' around" - Armstrong was defiant after being stripped of his Tour titles. More recently, the Texan compared himself to the Harry Potter villain Voldemort, complaining that "I'm the one everyone wants to pretend never lived". Indeed, Armstrong doesn't enjoy not being talked about, and his imminent return to the roads of France has profitably propelled him to the peak of the cycling headlines. Perhaps just this once, however, Armstrong shouldn't be lapping up all the attention. The cause for which he is riding is far more deserving of our time. Like Armstrong, Geoff Thomas was a successful sportsman. Unlike Armstrong, Thomas didn't achieve his success through doping, but the two men are united by their personal victories over cancer. Livestrong rightly cut all ties with its founder when Armstrong admitted to cheating, but Thomas is providing the American a route back into cancer charity work. Armstrong presents us with the most complex of moral dilemmas. Despite his checkered past, the Texan's remarkable comeback story provided the platform for a charity that raised millions of dollars for cancer patients and inspired many of them, including Thomas. Armstrong will return to the scene of his tainted Tour victories. The former Crystal Palace captain claims that 'Lance was the person who really dragged me out of what was a very dark place', and for this reason he is willing to offer Armstrong a path to redemption. One thing's for certain, that Thomas shouldn't be vilified for trying to help the man who offered him inspiration in his personal hopeless situation. Does this mean that we too can simply forgive one of the biggest cheats in sporting history? Probably not. One would be forgiven for thinking that Armstrong has an agenda returning to France, an agenda to provoke or prove that he can still do as he pleases. In this case, however, perhaps the best punishment for Armstrong is to treat him like the Voldemort he fears he is and deprive him of the headlines his ego craves. This shouldn't be about the individual Lance going back to France, but rather a group of riders being led through the gruelling route of the Tour de France by cancer survivor Geoff Thomas. 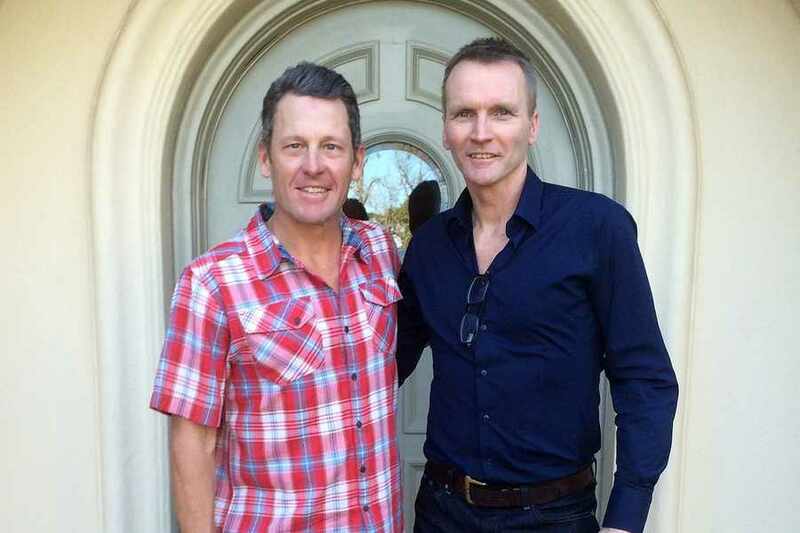 Despite what his Twitter bio tells you, Armstrong should no longer be acknowledged as the winner of seven Tour titles. It's time to separate Lance the cyclist from Lance the charity worker, and realise that Armstrong is now one among many in the fight against cancer. If Geoff Thomas believes giving a second chance to a man who once offered him hope will help him reach his fundraising target of £1million, then who are we to condemn him? This is purely about raising money for cancer, and the sooner the fixation with Lance Armstrong stops, the sooner both he and cycling will be able to move on from each other.